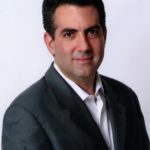 Jason Rayman has been a South Florida public relations professional for more than twenty years. He has represented a wide variety of real estate entities, including brokerages, agent networks, developers, home loan/mortgage lenders, law firms, commercial developers, new home web portals, and home inspectors. South Florida real estate is extremely competitive. Any opportunity to distinguish and promote your brokerage, development/building firm or lending institution should be strongly considered and carefully orchestrated.